The company's market valuation moved up by Rs 4,013.56 crore to Rs 56,014.56 crore on the BSE. 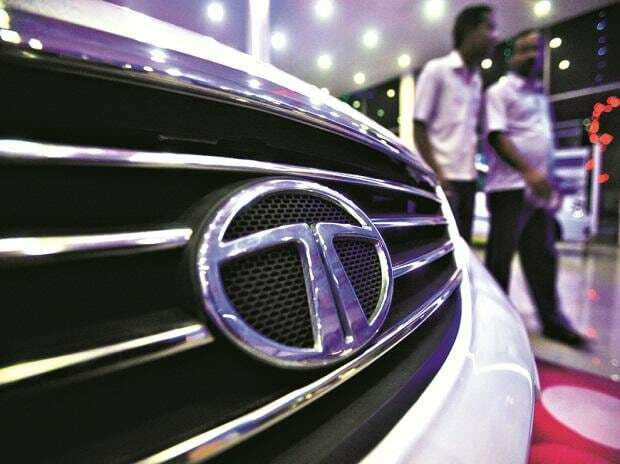 Shares of Tata Motors Tuesday jumped nearly 8 per cent amid massive buying, adding Rs 4,014 crore to its market valuation, in-line with an overall bullish market sentiment. The scrip rose 7.72 per cent to close at Rs 194 on the BSE. During the day, it jumped 9.93 per cent to Rs 198. At the NSE, shares gained sharply by 7.26 per cent to close at Rs 193.40. On the traded volume front, 46.62 lakh shares were traded on the BSE and over 5 crore shares on the NSE during the day. Tata Motors led the Sensex chart. Meanwhile on Friday, Tata Motors Ltd in a clarification to the BSE on reports that Tata is exploring strategic options including JLR stake sale said, "There is no truth to the rumours that Tata Motors is looking to divest its stake in JLR and we would not like to comment further on any market speculation". The BSE benchmark Sensex Tuesday surged by nearly 379 points to close at 36,442.54.